30 years ago, President Ronald Reagan signed Joint Resolution 298 proclaiming that the third Sunday in every July as National Ice Cream Day, giving delicious dessert lovers an excuse to indulge in a cold, creamy treat. To commemorate yesterday’s festivities, we’ve decided to highlight some of our favorite, Maker-inspired creations. I scream, you scream, we all scream for 3D-printed ice cream! 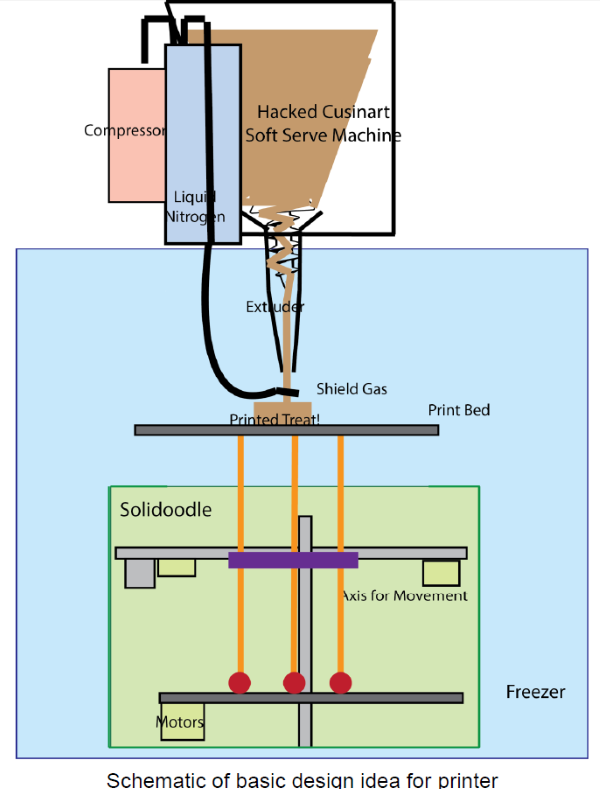 A trio of MIT students recently created an ice cream 3D printer capable of extruding customized frozen treats using a Solidoodle printer and a Cuisinart soft-serve machine. “We imagine this technology being marketable in ice cream parlors such as Dairy Queen where customers can order an ice cream treat, wait 15 minutes, and see the shape they chose be created,” the students told 3DPrint.com. Ice cream that plays music when licked. Artists Emilie Baltz and Carla Diana explored exactly that idea. Their project entitled “Lickestra” is a musical performance in which ice cream is used as the instrument. 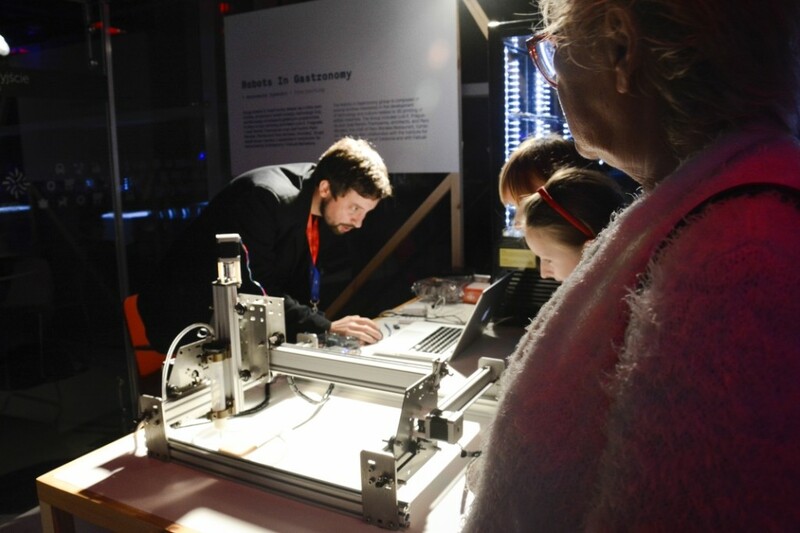 The concept was conceived after the pair of Makers began looking into the intersection of design around food and the senses and objects with electronic behaviors. To bring this idea to fruition, 3D-printed cones were embedded with capacitive sensors and perched atop pedestal-like boxes. “Musicians” stood inside the boxes, arms along their sides, and began licking away. When a tongue made contact with the creamy treat, a signal was sent to a hidden Atmel-based Arduino board, assigned a sound by onboard software, and pumped out through speakers. Ice cream, check. Fudge, check. Nuts, check. Cherries, check. Arduino, check. 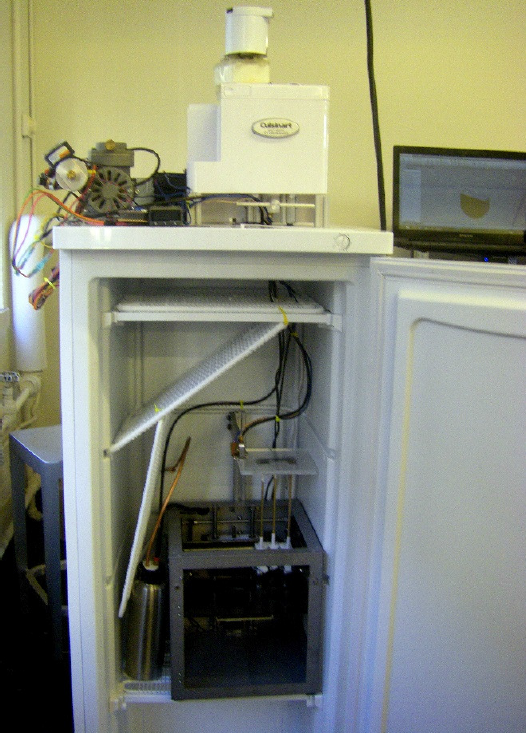 Your next ice cream man may actually be a robot. High-tech trend brings back old-fashioned ice cream. Robyn Sue Fisher, Founder of Smitten Ice Cream, has unveiled a way to give an old-school treat a high-tech, futuristic twist. Through her patented mixing technology, liquid nitrogen instantly freezes ingredients at the very low temperature of negative 321 degrees to provide patrons with a smooth-textured, creamy treat. What’s even ‘cooler’ is that the process doesn’t require traditional stabilizers used in commercial ice cream, and yields much tinier ice crystals than those found in most store-bought ice cream. RFID provides real-time flavor availability. 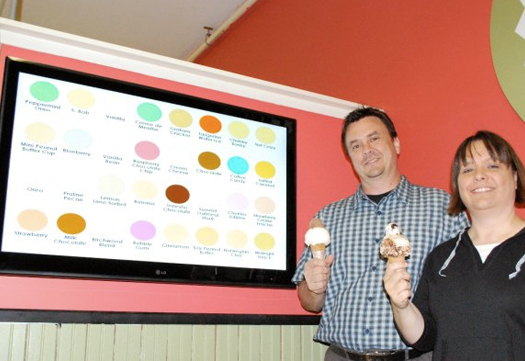 A couple of years ago, Izzy’s Ice Cream Café in Minneapolis, Minnesota outfitted their serving freezers and scoopers with embedded RFID technology in order to continuously update patrons with real-time flavor availability. The nameplates for each flavor were equipped with RFID chips, which were then read by an antennae anchored in the dipping cabinet. The inventory was automatatically updated simply through the act of an employee changing flavors in the dipping cabinet. That act triggered an inventory update, which in turn publishes the current flavors to multiple channels, ranging from the in-store screen and website to Twitter and Facebook. Hungry? Why wait? Uber delivers ice cream on-demand. Last Friday (July 18th), Uber served up cold treats on demand throughout 144 cities in 38 countries on 6 continents via an ice cream truck or an uberX car. To order the ice cream, users simply needed to open the Uber app and select an ice cream option. When a vehicle was available, the dessert was delivered in just minutes. “You’re seeing the same kinds of trends in ice cream that you’re seeing in other foods,” explained Peggy Armstrong, Spokeswoman for the International Dairy Foods Association. “People are willing to experiment.” So we’ve got to wonder: How long before we see an ice cream cone delivering drone? 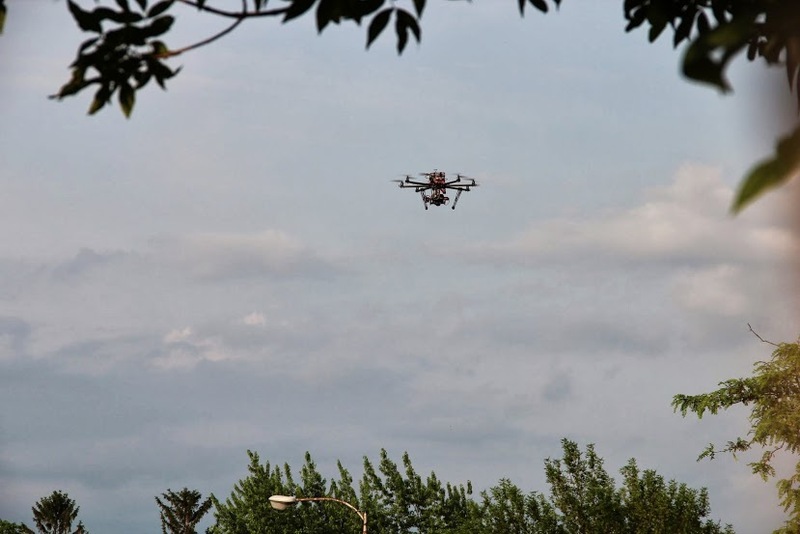 This entry was posted in Events, IoT, Maker Movement and tagged 3D Printing, 3D-Printed Ice Cream, Arduino, Lickestra, Maker Movement, Makers, National Ice Cream Day, robotics, robots on July 21, 2014 by The Atmel Team.